It was only a matter of time when Underground Resistance would speak out about Motor City’s financial and social hardship that has found so much negative press lately. Now the task has been accomplished by an artist called Alone whose real identity is unknown. 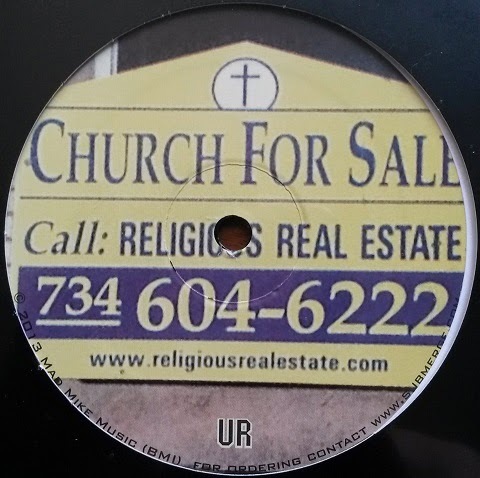 Although the UR camp has been less booming than in the mid-1990s, “Has God Left This City” is a strong reaffirmation of the vitality of techno’s real headquarters. Announced in 2013 as a white label going for inflated prices at Discogs marketplace, and supported by full-length teaser videos*, the actual release is a gem with all three tracks obviously referring to the localities in Detroit, familiar to those who know. Hi-tech jazz opener “7601 12th St.” expresses the spiritual dedication to the home town, being even melancholic with touches of gospel house. It gets more bouncy in the A2 track “McGraw & Junction”, featuring stronger drums, rainforest soundbits and sci-fi textures reminding of UR’s earlier material in “Dark Energy”. Towering prominently over the neighbourhood, “Lodge & Clairmont” is a multi-layered and immersive hi-hat builder, expressing inner strength and determination lacking in many techno productions today. Against all odds, “Has God Left This City” tells us there is more hope than despair in Detroit. Essential music from the source. * Please note: The teaser videos of A-side tracks feature voiceovers that are not on the actual release.